How to reduce the need for pain medication? 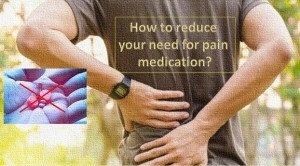 How to reduce your need for pain medication? Medicines may give temporary relief or can be good at getting rid of pain. However, for many, consuming drugs is an unpleasant experience because of side effects.